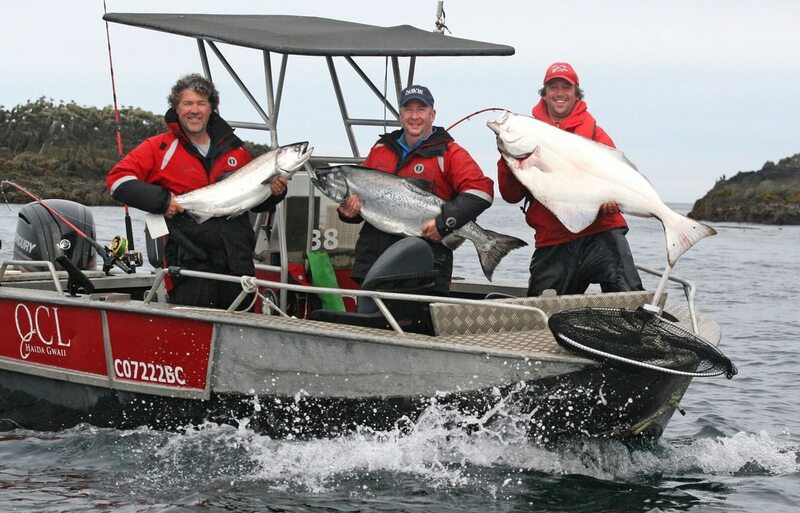 Our all-inclusive fishing program is designed to take full advantage of all the great fishing opportunities available in Haida Gwaii. 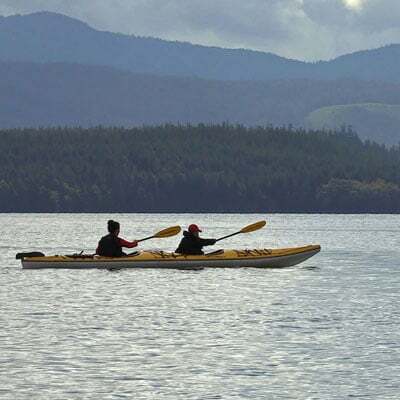 The fishing grounds at QCL offer some of the best fishing for salmon and halibut in the world. 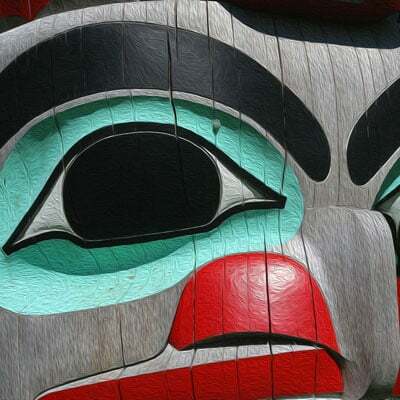 Vast populations of herring and needlefish mean that the islands of Haida Gwaii offer big fishing at its finest. 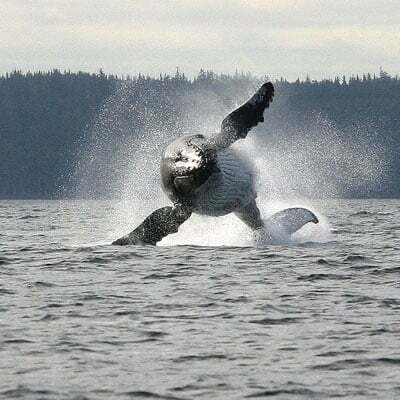 This locale provides some of the most consistently exciting fishing to be found anywhere and monstrous halibut and mighty salmon are caught all season long! Whether you are a seasoned veteran or a beginner, QCL provides a full range of services to meet your every need. We are proud to offer a fleet of boats specifically designed for performance and safety. You can choose to fish on your own on a self-guided trip or benefit from the assistance of a professional guide on a guided fishing trip. Either way, QCL will provide you with the fishing trip of a lifetime! 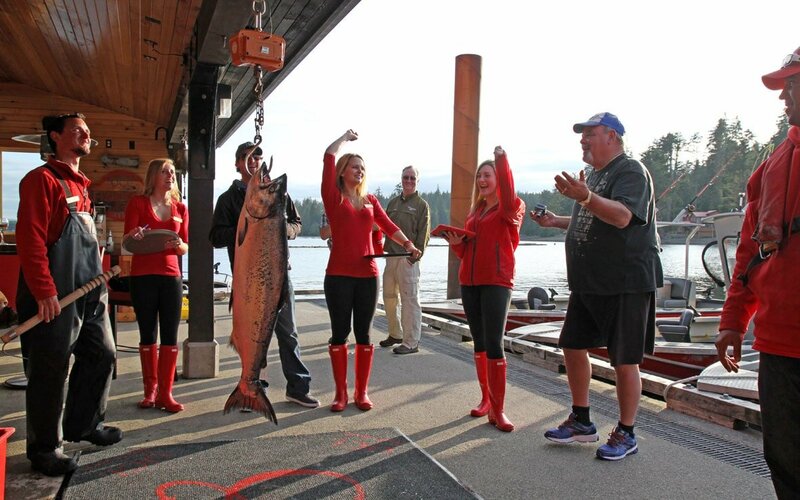 Your Queen Charlotte Lodge fishing experience includes 5-star dining, luxurious accommodations, return airfare, helicopter transfer, all fishing gear, care of your catch, access to onsite spa services, relaxing activities, and, of course, staff who are always happy to meet your needs. 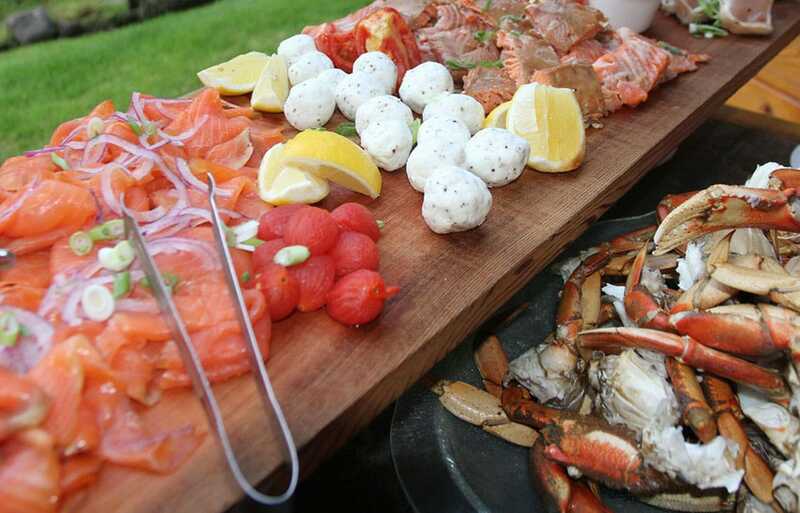 The best fishing resorts always have guests coming back for more! And at QCL, that’s our goal, every day. From start to finish, the staff and management at Queen Charlotte Lodge strive to provide each guest with a stress-free trip. A welcoming and friendly atmosphere is the hallmark of our comfortable accommodations while our guests enjoy warm hospitality. 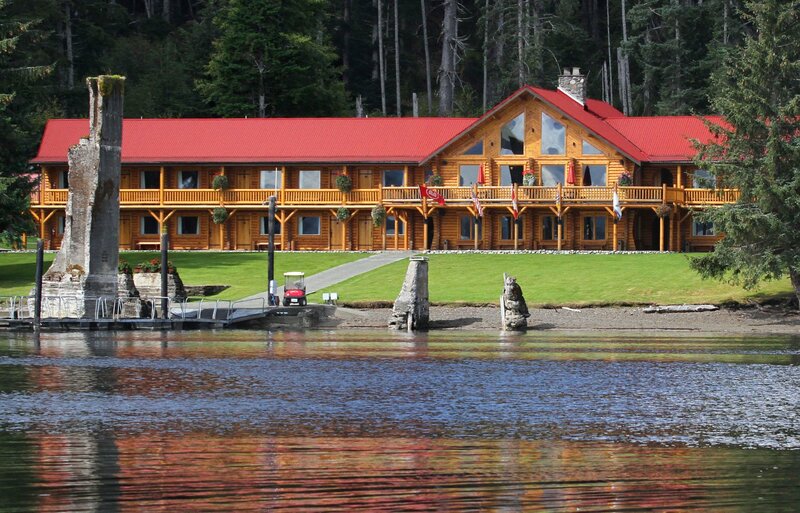 Queen Charlotte Lodge is nestled in the heart of Naden Harbour on the north coast of British Columbia’s Haida Gwaii. With a 100-day fishing season running from late-May to early-September, there is no bad time to plan an all inclusive fishing trip to QCL. 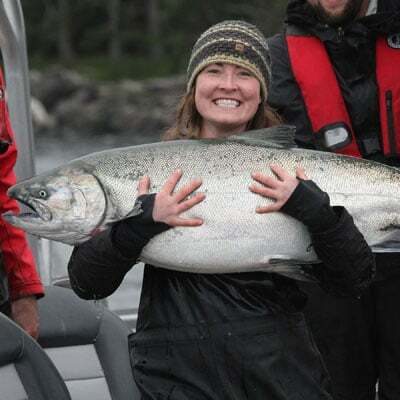 If you’re ready to experience an all-inclusive fishing trip with Queen Charlotte Lodge, our knowledgeable staff are here to help you get started with planning your dream trip! We will take care of your accommodations, meals, boats, fishing gear, bait, and anything else you could need. Upon your arrival to the lodge, you can even expect to find a complete set of all-weather flotation gear, including boots, ready and waiting for you and your guests! Focus on making the memories that count and let us take care of everything else! What a truly amazing place. After shaking the owner Paul’s hand once off the helicopter we were on the fishing grounds an hour later. Our guide Sean was professional, knew where the fish were and…well, he was just a great young man. The staff (who become like family) are so much fun, the food amazing, the lodge we stayed in so comfortable. The first morning, with the sun rising over the boat dock, I was inspired by the beauty of the place. Paul and Cindy walked by, offered me a cup of coffee and off we went to the lodge for breakfast. The weather was perfect (a real treat), fishing hot, seas calm and wildlife in abundance.